Welcome to the new ASLA website. 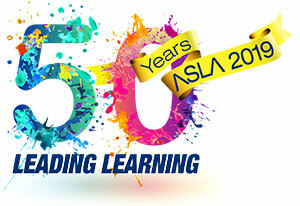 ASLA is celebrating 50 years! As part of our celebrations we are upgrading our website to bring a new look and extra benefits to our members. 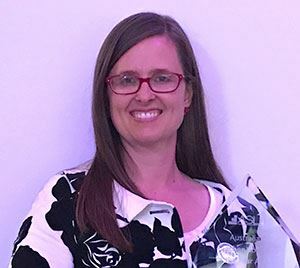 ASLA takes great pleasure in congratulating Holly Godfree, on being the recipient of the Australian Teacher Librarian of the Year Award for 2019. Holly is Teacher Librarian at Lake Tuggeranong College, Tuggeranong, ACT. She is an outstanding example of excellence in all aspects of teacher librarianship. In addition to Holly's highly professional work in schools, she is well know for her leadership of the Students Need School Libraries national advocacy campaign. 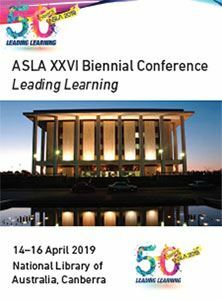 This award was presented to Holly by ASLA President, Kate Reid, at the ASLA XXVII Conference, National Library of Australia, Canberra, ACT on April 15, 2019. NSS is held annually by ALIA. A picture book, written and illustrated by an Australian author and illustrator, is read simultaneously in many places around Australia. Register here. ASLA is a partner in the campaign Students Need School Libraries. This aims to engage parents and inform them about school libraries, sparking them into action to advocate at their child’s school. This monthly online publication is free and open to all. Subscribe by sending an email to ASLA. ASLA has a partnership with Booktopia through which ASLA benefits from your purchase of resources. Thank you for a fantastic conference. It was brilliant meeting so many passionate teacher librarians and hearing so many fabulous presenters. ...brought authors to the conference!